There are a few ways to use puzzles to build vocabulary. 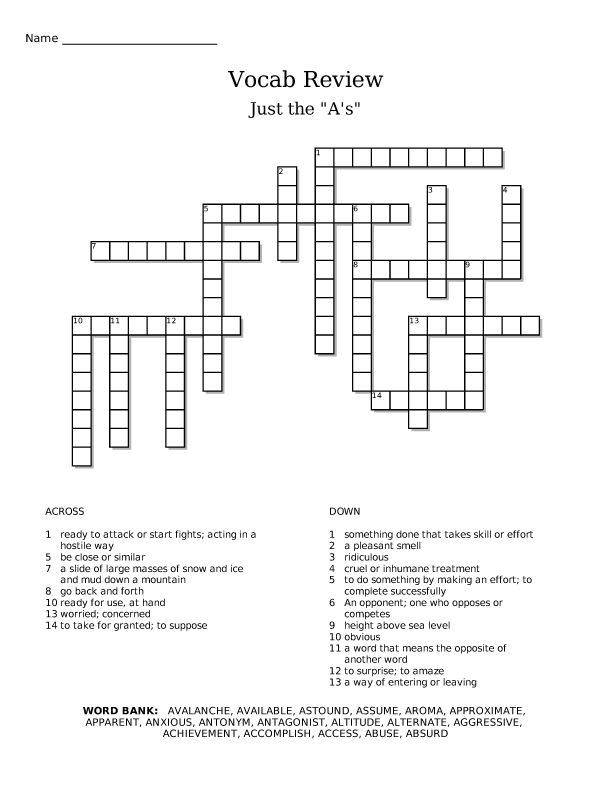 You can make a crossword or word search puzzle, with or with out the answer words. Make yours now.